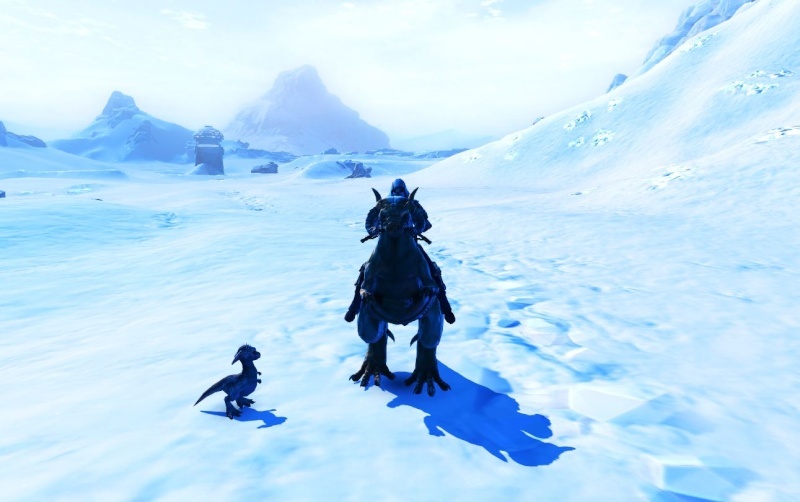 This guide show how you can acquire the tauntaun mount and -pet from Hoth. 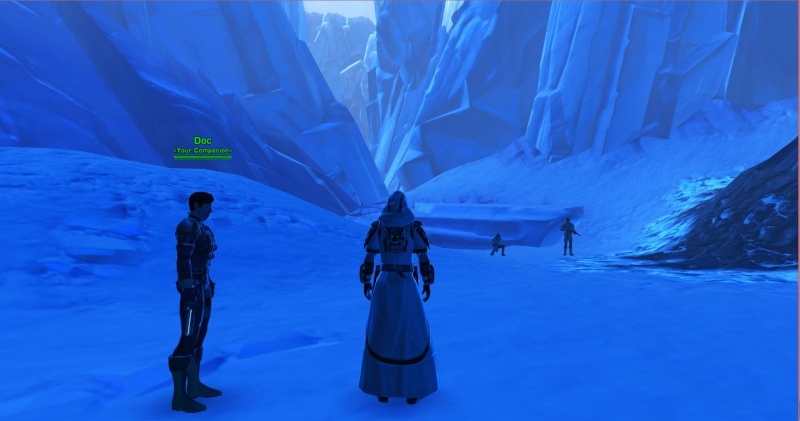 You can find the tauntaun handler and -trainer vendors by the entrances of Aurek base. There are two kinds of tauntauns: mountain tauntauns for 20 domestication data and tundra tauntauns for 15 domestication data, the tundra tauntaun is for subscribers only. 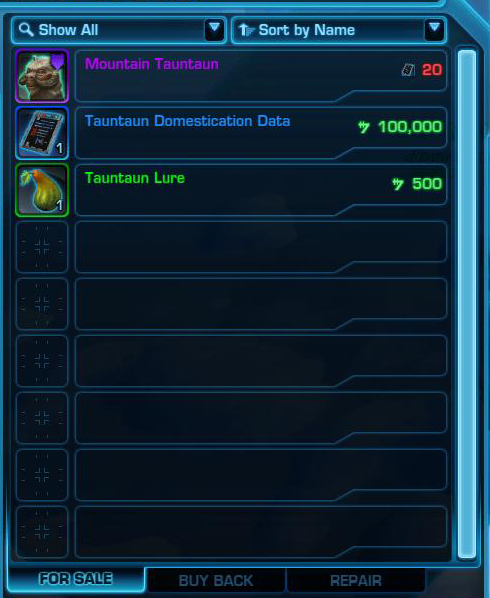 One domestication data costs 100.000 credits each so the cheaper way to get a tauntaun is by using the lures that cost 500 credits each. There is total of six tauntaun nests on Hoth and each have three tauntaun fawns in them. To feed the fawn select it and click the lure in your inventory. 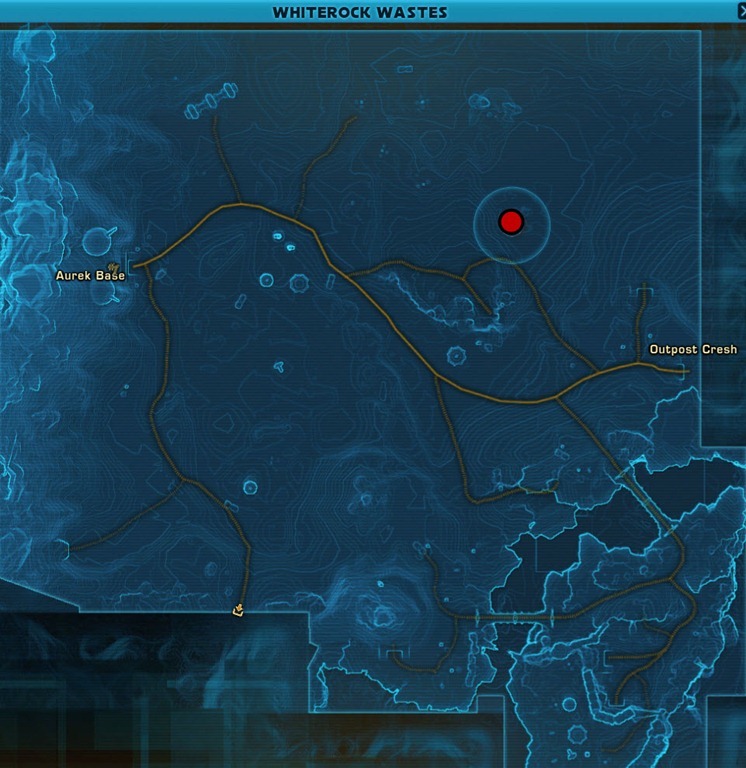 If the lure succeeds a wampa will spawn and killing it will give you one domestication data. 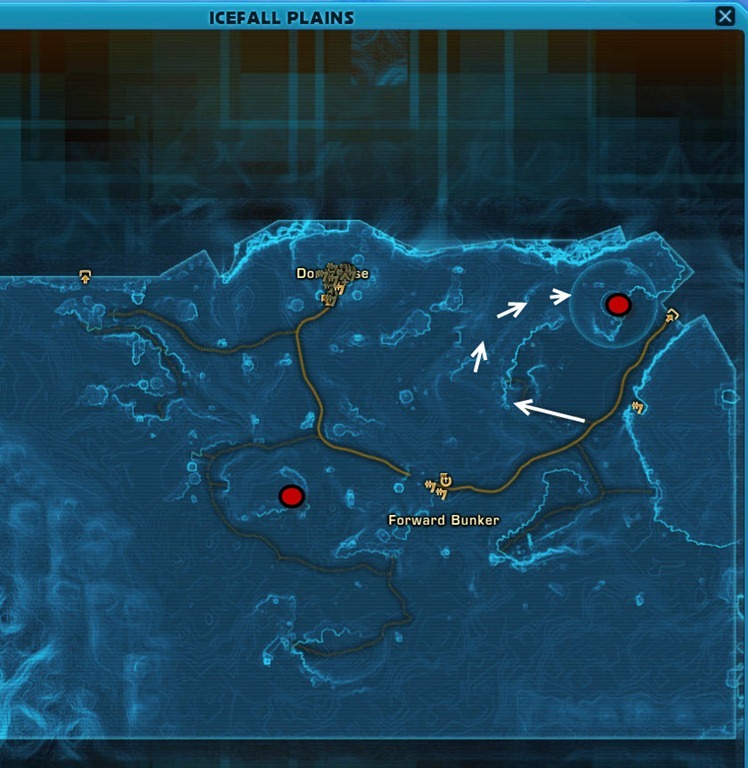 Success rate for the lures is about 20% and fawn cooldown time is from 30 minutes to an hour. 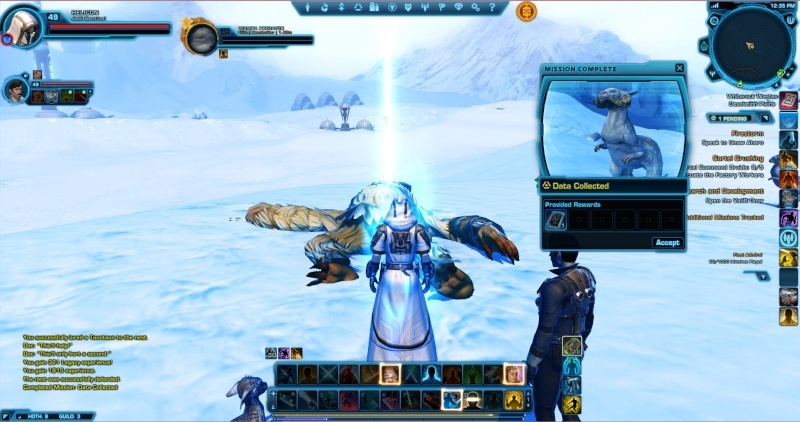 To get the tauntlet pet you will need two things: NVSCSS from a vendor in Alderaan and an Ice Scrabbler Jerky. The vendor is called Lain-Ricie and you can find her in Juran Mountains. The item costs 5k and you only need one of them. 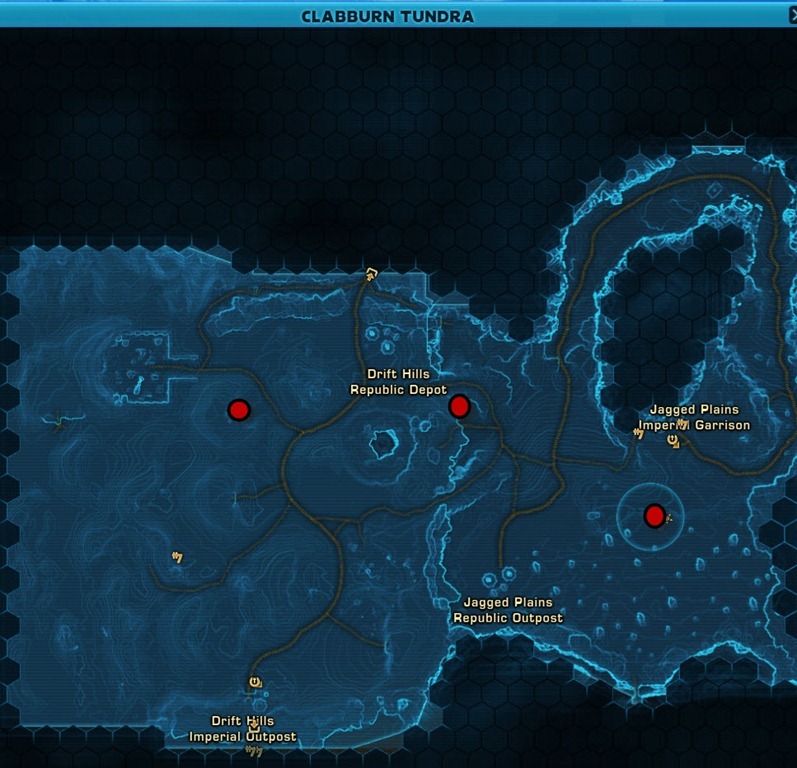 If you dont want to go through the trouble of making this yourself you can usually found it in Galactic Trade Network. I bought mine for 40k but you can propably get it cheaper if you are patient or lucky. Go to Glacial Fissure section of Hoth. 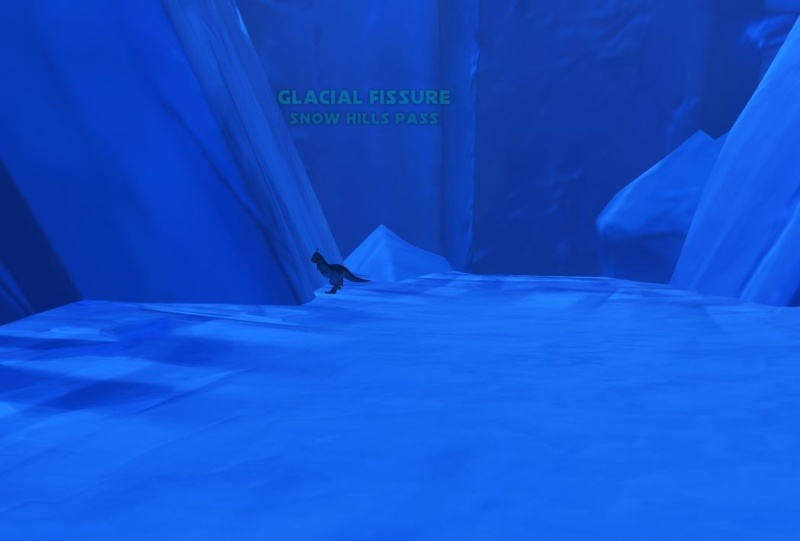 When you get to the volcanic area you can use the Ice Scrabbler Jerky, it gives you an hour long buff to lure the tauntaun. 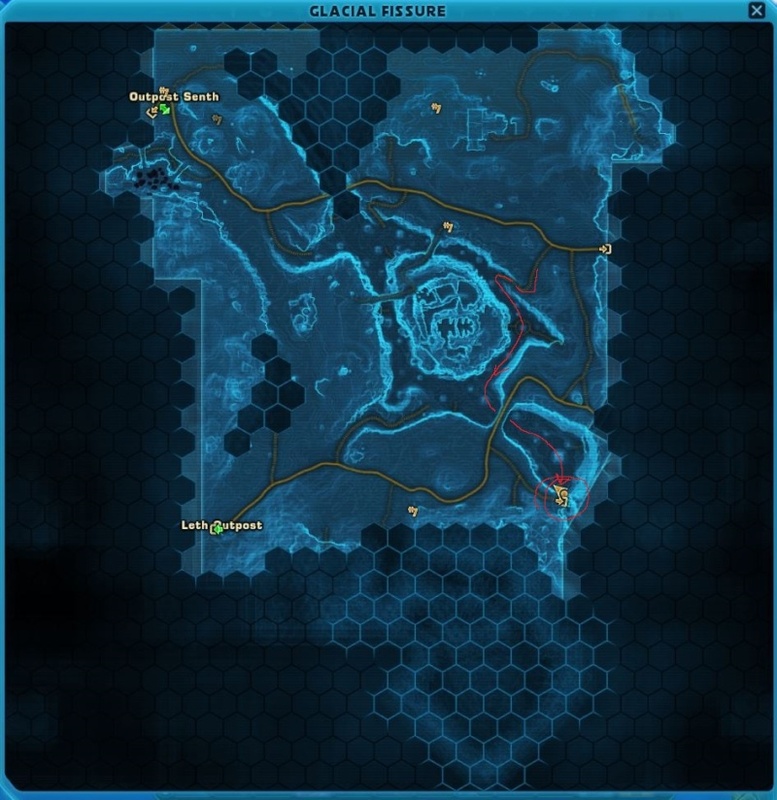 As you approach the area indicated by the circle in the map you can see a small gap guarded by some mobs. Go into the gap and you will see a red text - A wild tauntaun appears! 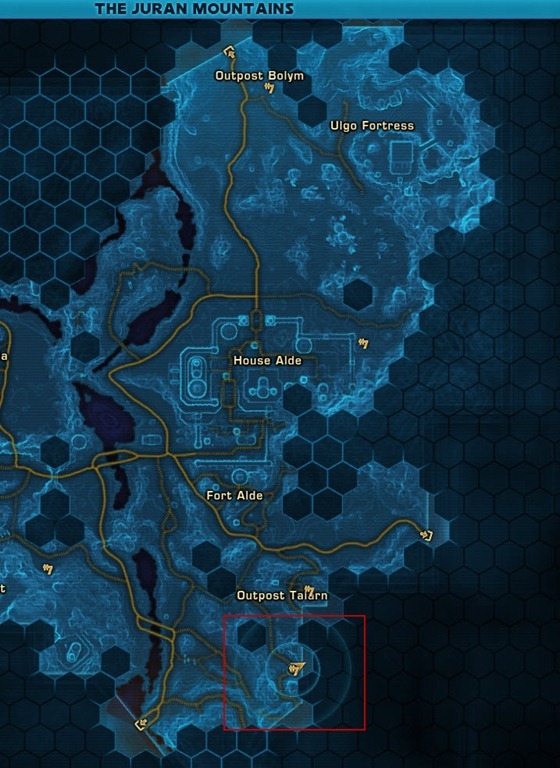 And by the end of the gap you see a little tauntaun that you can capture by using the NVSCSS. And there you have it, a whole happy tauntaun family!